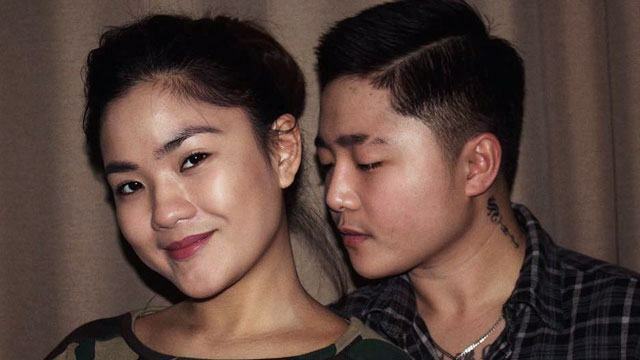 After a public breakup with long-term girlfriend Alyssa Quijano in April, Jake Zyrus has moved on to his new love Shyre Aquino, a fitness guru and nutritionist. On August 14, Shyre posted some PDA-filled snaps with Jake on her Instagram account. Jake responded with a message outlining the reasons why he fell in love with Shyre. "You deserve all these good comments. They don't even know who you really are as a person. To all of you, this woman makes me feel good about myself. She's the reason I stopped hating myself because of what other people think/say about me. Other than her outer beauty, her inner beauty is one of the many reasons why I adore her. She's patient, funny, and humble. Thanks for complimenting her. It makes me feel very proud. She's a really good human being. :-)"
In a second post, Shyre posted a photo of the two enjoying a stroll on the beach, with the comment, "I love you for who you are." With each post having at least 500 likes in less than 24 hours, the public expressed their support for Jake's first public relationship after he transitioned from being Charice Pempengco. The posts were nothing short of supportive comments, like: "You deserve to be loved again, bro. I'm happy for you" and "Indeed, we are born to love the person, not the gender."